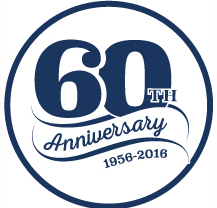 Americaneagle.com and Munch's Supply are pleased to announce the launch of their newly upgraded website in celebration of their 60th Anniversary as an HVAC distributor serving dealers and contractors in Illinois, Indiana and Michigan. The new website, http://www.munchsupply.com, features the complete line of Trane and American Standard residential equipment including a short description of the item and all pertinent technical specifications for easy comparisons. "We are truly excited about the design and functionality of our updated website. It was great partnering with American Eagle Web Development," said Mary Jo Hann of Munch Supply. Dealers and contractors wishing to place an order can use online order entry to select their HVAC products easily with only a few clicks of a mouse. Sixty years ago, founder Willard Munch would not have dreamed of such a thing--making this anniversary an even more special one. Munch’s Supply has been ranked in the top 30 of all HVAC suppliers nationwide and received the Trane Pacesetter Award in 2012 and 2014 and the American Standard Pinnacle Award in 2013. It is important to note that Munch's Supply is Business to Business, and does not service consumers directly.